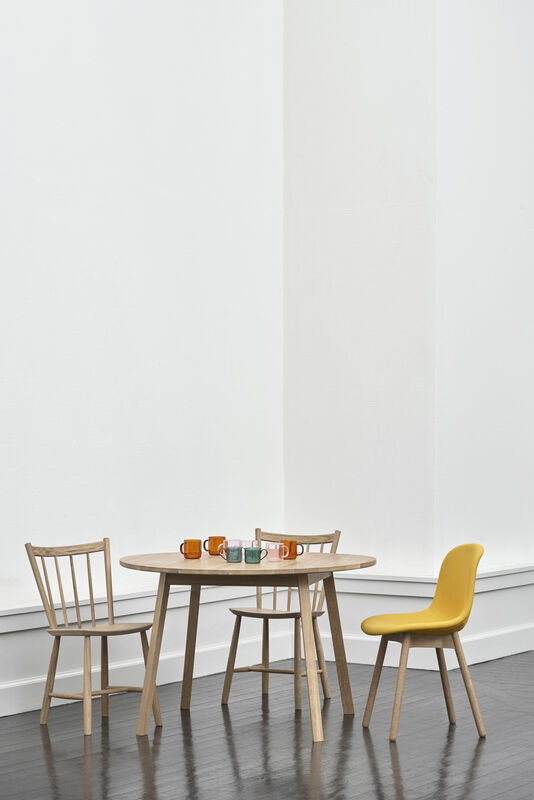 Fans of vintage Scandinavian design will be delighted: Hay has reissued the furniture in the FDB collection, all icons created by leading Danish designers in the 50s and 60s. This superb oak chair is a reissue of the original model created by the famous Danish designer Poul M. Volther in the 1960s. A highly ingenious mix of retro lines and sleek contemporary design. The J41 Chair is a new take on a true classic: the Windsor seat, very much in vogue in the 18th century. 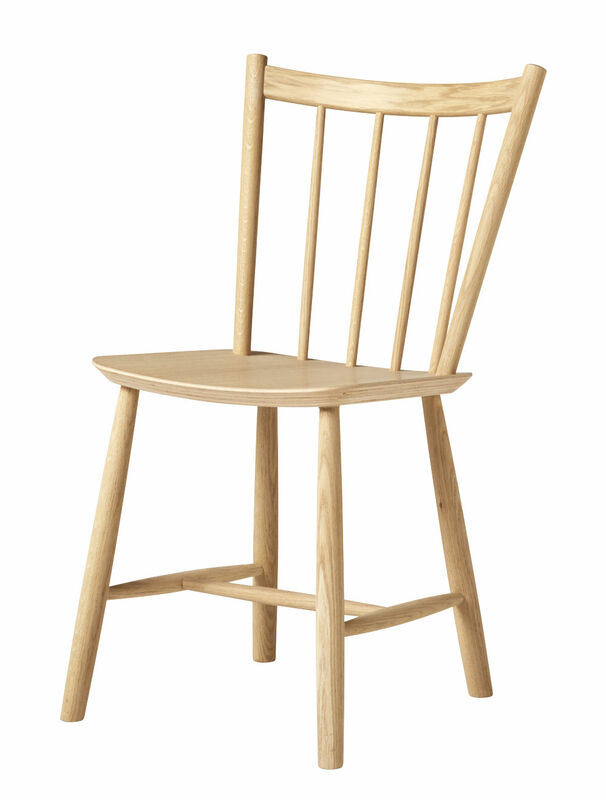 Poul M. Volther respects the main features of the traditional Windsor chair, including the use of wood and the back created from fine spindles. This gives the great classic cleaner, more modern lines of Scandinavian inspiration. The assembly of spindles provides a balanced and wonderfully graceful openwork structure. You’ll love the very graphic effect created by this decorative little chair. Its wide seat offers optimum comfort. 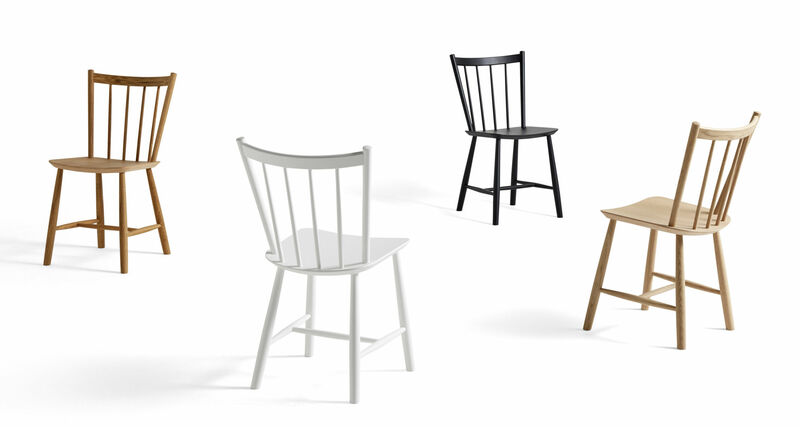 The J41 Chair will give your table a very on-trend, vintage feel.